Email, the Internet’s first killer app, remains an essential tool in the modern marketer’s arsenal. Whether it’s to introduce a specific product or service, burnish and validate a brand’s offerings, or follow up post-purchase, email remains one of the most popular and effective channels for connecting with customers. It’s a noisy world, though. Consumers are bombarded with information at every turn. And vendors looking to reach a global audience (in today’s economy, that could be any of us) have to exercise caution: Many countries have enacted stringent email-related policies to better protect their citizens’ privacy. Canada’s recent anti-spam law, for example, has effectively ended the longstanding practice of batch-and-blast emails, sent to prospects en masse regardless of their consent or opt-ins. Creating lasting connections with powerful, personalized emails has never been more challenging. Here are six tips to help you cut through the clutter while adhering to ever-changing government regulations and convincing your subscribers to stay loyal. Send a postcard with a special offer, and encourage customers to go online to redeem it. Make the option to opt in more prominent and accessible—say, with buttons or links on landing pages. Promote your e-newsletter on your physical mailings, such as bills, account statements, or flyers. Host an in-person event or a customer appreciation party and ask for email addresses as part of a drawing or raffle. Be sure to include opt-in language on every entry form. You can also try your hand at content marketing: Offer compelling e-books, infographics, and videos, but gate them with a registration form of some sort to ensure a mutually beneficial exchange (contact information in return for high-value content). Many marketers are hesitant to deploy humor in their missives, and they are cautious about addressing hotly debated issues and anything else that distracts from their product. Yet, often, those are the things your audience cares about most, so don’t shy away—but do be tactful. If the material you produce benefits you more than it does your potential subscriber, you’re doing it wrong. If people don’t feel as if they’re winning when they click “submit” on that form, they will never give up their email address. Triggered messages are sent out automatically, based on important or timely events that are related to the subscriber’s actions. Most marketers limit their use of trigger emails to transaction-oriented emails (e.g., “Thanks for downloading!” and “Here’s your purchase receipt”), but the creative applications of this email type are endless. Look at other online behaviors, such as visits to specific pages on your website, video views, or interactions with your sales team: You can catch people when they are actively thinking about or engaging with your brand, which is priceless for marketers. You could, for example, set up trigger email on your product pricing page, so that anytime a known contact visits your pricing page, you’ll immediately trigger an email that serves up helpful content or recommends a subscription. It’s a phenomenal way to “watch” a cold or aged email list and uncover hidden opportunities to engage with your audience. 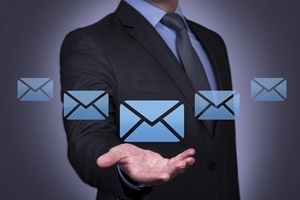 Few things affect email deliverability more than constant and careful maintenance. Even the best lists need to be checked regularly and monitored closely. Between the steady turnover of email addresses (approximately 30% of subscribers change email addresses annually) and the always-possible loss of interest, email lists can get stale fast. Purging lists can be tough, because no one wants to lose potential customers. But a company’s online reputation depends on maintaining a clean, healthy email list. Remove distribution, role-based, or administrative addresses such as “sales@abc.com” or info@abc.com. Monitor feedback loops so you can identify and immediately remove people who complain about receiving your emails. Segment disengaged subscribers via criteria such as whether they ever made a purchase. Re-engage inactive contacts with messaging and offers targeted to their specific segment. Every email you send ought to tell your readers a unique story or expand one they know already. Your best chance of accomplishing that is to double down on the content you produce and include in emails. Make sure your subject line creates an expectation that the body copy will fulfill, and keep the subject line short and pithy, if possible; most email programs will display 60 or fewer characters (including spaces). Be brief in the email body, too; short, compelling emails are more deliverable (and tend to get better results). Make links—including link title, color, and placement—obvious. Create your message so it displays well in the preview pane; 600 pixels is a good maximum width. Giant images are characteristic of spam messages, so be sure to deploy visuals sparingly. Don’t include important copy in your images (where it’s likeliest to be overlooked), and keep a high text-to-image ratio so your subscribers are provided something substantial. Offer a clear, direct method of contacting you. Using ALL CAPS is a spam characteristic. Also, use exclamation points sparingly, and don’t use several in a row. If you’re mailing to an opt-in list, add a line at the top reminding people that they opted in. Lest we forget: it’s always easier to retain subscribers than it is to acquire new ones. You’re bound to have caused some annoyance if subscribers are visiting your opt-out page, but that doesn’t necessarily mean you’ve lost out on relationships. Give these subscribers the care, consideration, and attention they’re due. Think of your opt-out page as your last chance at winning the heart and mind of that annoyed subscriber. Try a witty message, be boldly inspirational, offer alternative content, or even add a video of cute kittens if all else fails. What do you have to lose? And, of course, give the subscriber a clear path back to the fold: Include a re-subscribe call to action on the page. Sending one-off blast campaigns to people who have not opted in carries the potential to reach more prospects only theoretically. Because those recipients aren’t expecting your message, you run the risk of getting those messages flagged as spam. And if you continue sending to unengaged, random recipients, you’re asking for an abuse complaint. Plus, purchased lists often have high bounce rates. Even worse, purchased lists may contain spam traps, which could get you blacklisted.